The 2019 NCPRSA InSpire Awards submission is now closed. 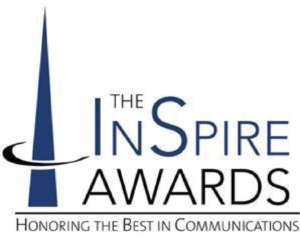 The NCPRSA InSpire Awards recognize the best public relations campaigns and tactics for the previous year in the Triangle to Coast area of North Carolina. All public relations practitioners in the region are welcome to participate – you do not need to be a NCPRSA member. We model the awards after the national Silver and Bronze Anvil awards to make entering both programs easier. With subcategories for Silver and Bronze Awards, there is an award opportunity for everyone regardless of the size of your budget, project, or team. We team with other PRSA Chapters for fair judging, and winners receive their awards at a networking celebration event. The InSpire Awards give you a chance to shine! Enter your projects today for the chance to get the recognition your hard work deserves!